On Tuesday, Electronic Arts (EA), one of the biggest games publishers in the world, revealed that its Origin game service is coming to the Mac next year. The announcement reveals just how much importance EA puts in digital distribution for the future, and it gives the Mac community another gaming venue. 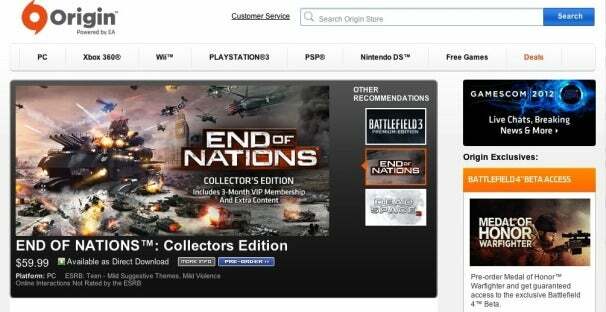 Launched in 2011, Origin is EA’s digital distribution platform. It’s widely considered a rival to Valve’s Steam service, which came to the Mac a couple of years ago. Origin initially launched to some mixed reviews, but EA has since revised its privacy agreements and seen adoption of the platform skyrocket due to wisely tethering some of its marquee games to the service. Battlefield 3 and the download version The Old Republic, for example, are Origin exclusives. At its Gamescom presentation, EA’s COO Peter Moore stated that Origin has over 21 million users. What can you do on Origin? Origin has its, ahem, origins in the EA Store and is primarily used as a way to purchase and download games, including many non-EA titles. It’s client software that you install on your computer that self-updates. You can also add games to Origin that you’ve previously purchased, and see what games your friends are playing, invite them to play, etc. EA has stated numerous times that they want to launch an Origin mobile app, further knocking down barriers between mobile gamers and conventional desktop games. This is especially critical for the Mac gaming community, as the line between Mac gamer and iOS gamer has largely blurred. Apple’s Game Center hasn’t been a critical success, and if EA can build a better mobile social gaming app that has cross-platform functionality, it’s looking at not only dominating the Mac gaming market, but the more lucrative iOS market as well. Origin: EA's digital distribution service. 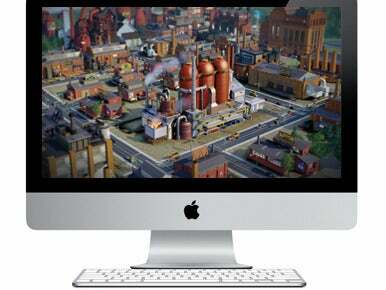 Origin will be entering an already crowded field of digital game distribution platforms available for the Mac. Steam: Valve's digital distribution service. Valve’s Steam service is perhaps the most iconic digital distribution platform out there. 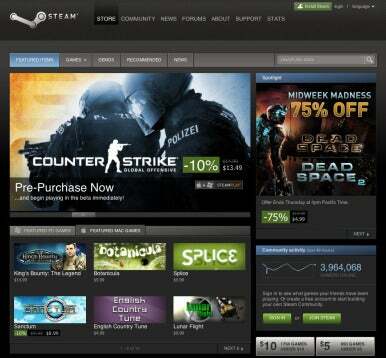 With over 54 million active users and 1500 games (on the PC side, at least), Steam has been top dog for a while. But those who pay attention to Mac gaming know that Steam hasn’t quite lived up to its billing for Mac gamers. After slowly releasing many Valve games, Steam on the Mac has stagnated, with few titles that are exclusive to the platform. Sure, you can play Left 4 Dead 2 and (soon) Counter-Strike: Global Offensive through Steam on the Mac, but recent blockbusters such as Max Payne 3 are nowhere to be found. Instead, people go to Steam for its vibrant community, intuitive interface and social controls, and its growing list of indie hits like Limbo and Braid. Asypr’s GameAgent is a digital distribution platform from a traditional porter of Mac games. The company and the Mac-port industry have fallen on hard times, and the games list at GameAgent reflects this. Aside from Civilization V, most of the marquee titles are 3 to 4 years old and not exclusive to the service. GameAgent lacks the social media functionality to compete with Steam, Origin, or OnLive. 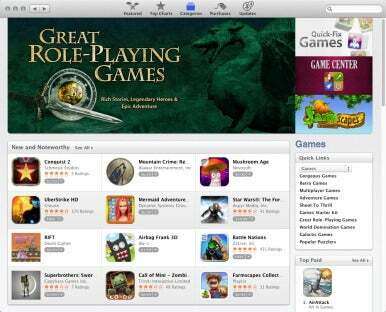 Mac App Store: Loaded with casual games that made the transition from iOS. The Mac App Store has the benefit of being an easy-to-use digital distribution service that is already built into OS X. It has plenty of casual games and titles that appear on the iOS, such as The Act and Cut the Rope. But aside from Bioshock, Bioshock 2, and Batman Arkham Asylum, you won’t find many high-end games on the service. In its current form, Apple seems content to let the Mac App Store play host to desktop versions of its iOS games. 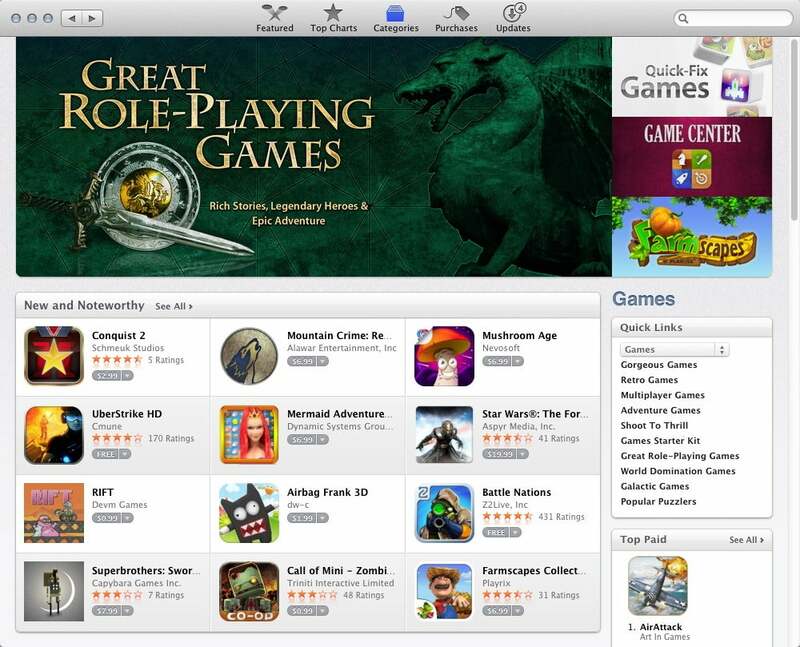 The Mac App Store doesn’t have social functions; that role is filled by Game Center in Mountain Lion. So far, Game Center’s community doesn’t compare to services like Steam and OnLive that understand and cater to the gaming community. Remember when people thought the Mac App Store would herald a new era where people actively developed games for the Mac? Yeah, me neither. EA’s Origin is coming to the Mac for largely the same reason that Valve did in 2010: the PC gaming community isn’t the revenue generator it once was, but the Mac market provides an opportunity to expand its market with games that have never before been released to the Mac. If EA’s Origin can deliver some of its library to the Mac community, then it will have an easy inroad into a Mac gaming audience that is hungry for new content. What gamer wouldn’t want to play EA’s library of Mass Effect games on the Mac? The truth of the matter is, it’s not enough to simply have more digital distribution services available on the Mac. It’s possible that Mac gamers are in for another disappointment in a long line of disappointments. It’s been over ten years since Halo was revealed at Macworld Expo, only to see Bungie’s sci-fi shooter become the flagship game on Microsoft’s Xbox platform. A few years ago, everyone looked to Transgaming for its Cider ports to open the floodgates for Mac games—but that largely hasn’t happened. And now, Steam is the best service for both casual and core games on the Mac platform, but that’s largely by default. Steam was supposed to end the Mac gamers status as second class citizens—but it still takes months for high-end titles to be ported to the platform, if they’re ported at all. EA’s entrance into the market could be good for the Mac consumer because it will bring attention to the platform, hopefully drive a new era of competitive between Valve, OnLive (maybe), Asypr, and EA, and then finally we’ll start seeing some new releases. EA’s familiarity with mobile and stated ambition to develop a mobile app for Origin could also provide a key ingredient that has been lacking in Mac gaming. But perhaps we should concede, as Apple did years ago, that there isn’t a high demand for high-end titles on the Mac platform. Perhaps the disappointments with Steam and Transgaming can largely be attributed to a lack of support from the Mac gaming community, leading us to our current situation where the digital distribution services on the Mac are scattered and incomplete. EA’s Origin will provide yet another service for users to sign up for with promises that this, finally, will be the service where all of their favorite games will be available. (With EA's focus on mobile, at the very least we can hope for a better alternative than Game Center.) Mac gamers may be skeptical of any promise that EA makes, but since the age of boxed games is largely over, Origin and digital distribution services like it are the best bets for the oft-maligned Mac gamer community. Updated at 12:45 p.m. on 8/17/12 to note reports of layoffs at OnLive.